Steinway & Sons is proud to introduce the Crown Jewels series of grand and upright pianos, alongside internationally renowned in-house brands, the Boston and Essex lines. 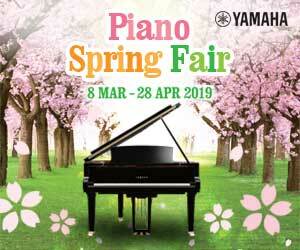 The model to be launched is the Indian Apple K-132 upright piano. Indian Apple refers to the exotic and expressive South American wood that this model is constructed from. Indian Apple trees, when freshly logged, are soaked in sap and amber brown in colour. As the wood dries in a month or two, a fascinating range of shades appear. Dark stripes accent the base tone with its subtle reddish gleam, making any instrument made from this material a feast for the eyes. The Steinway Crown Jewel Collection features exclusive pianos skilfully crafted from the finest woods available. Unique textures and breath-taking colours make every product more than just an instrument to play – each becomes an individual piece of art. The quality workmanship is underlined by a further, unmistakable feature: every key cover is set with a flawless certified diamond, expressing once again that a Steinway Crown Jewel is something very special. 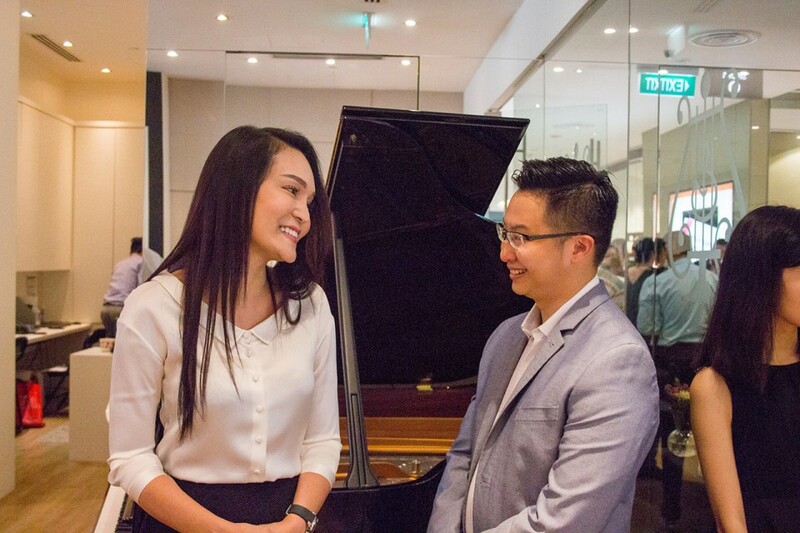 To commemorate the unveiling of Steinway's Crown Jewels, Steinway Gallery Singapore organised a star-studded ceremony in the afternoon, headlined by the next generation of Singapore's music talents. 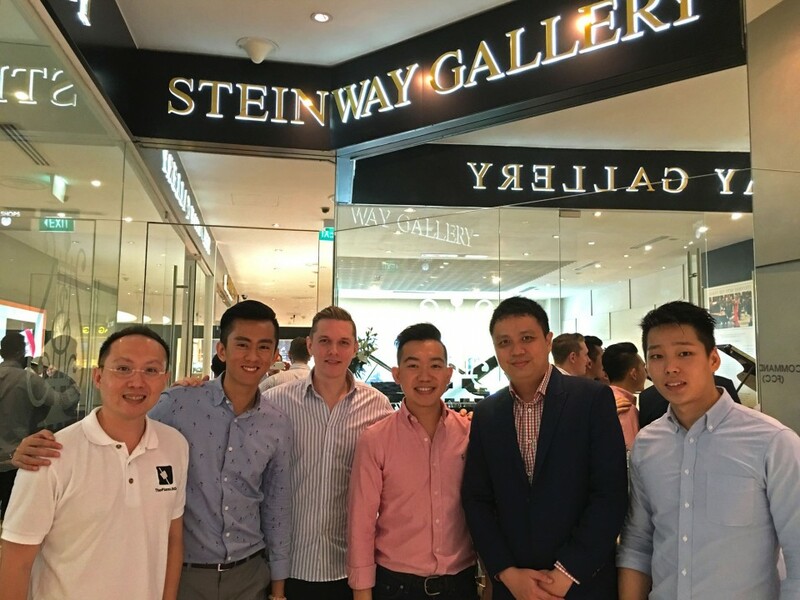 The Steinway Gallery Singapore is Asia's first standalone boutique, conveniently sited in the centre of Orchard Road, Singapore's popular and trendy shopping district. The Gallery exhibits select limited pieces from Steinway & Sons' different product lines. ThePiano.SG was privileged to be there to cover this event, and enjoy the performances that took place. 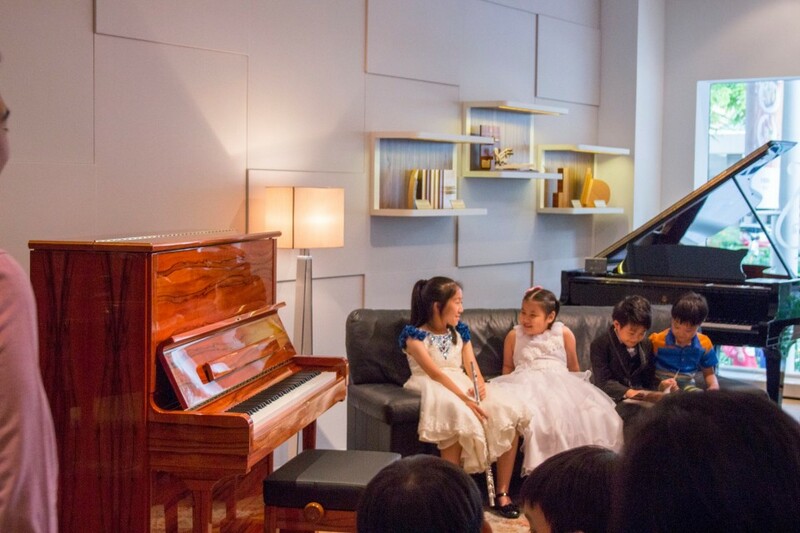 The key performers were Toby Tan, eight year old piano savant; Chen Jing, the youngest Singaporean pianist to win the First Prize at the Grand Virtuoso International Music Competition in Paris; and Yi Ting, a flautist aged twelve and already the recipient of various music awards all over the world, and who plays the piano as well as she plays the flute. 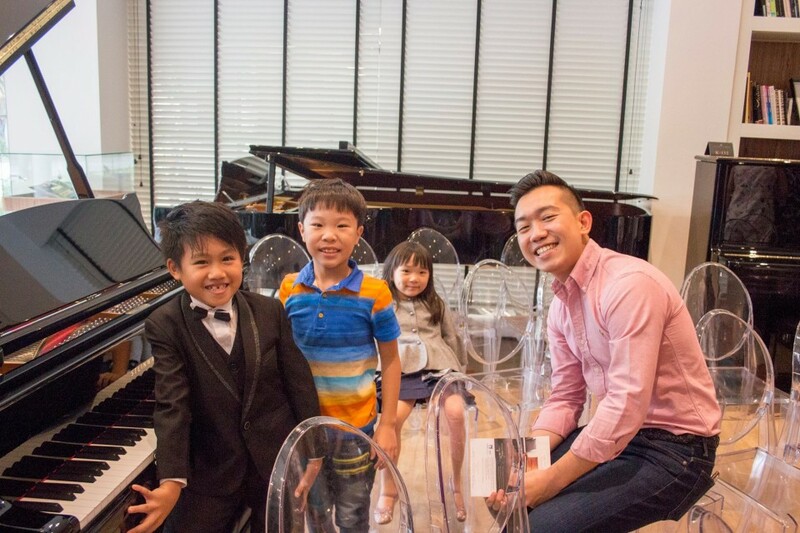 All three are students of Winnie Tay from the Song Without Words Music Studio. Toby captured the audience's attention with a solo rendition on the Indian Apple K-132. Toby's passion for composition and improvisation can be heard from his energy and creativity. 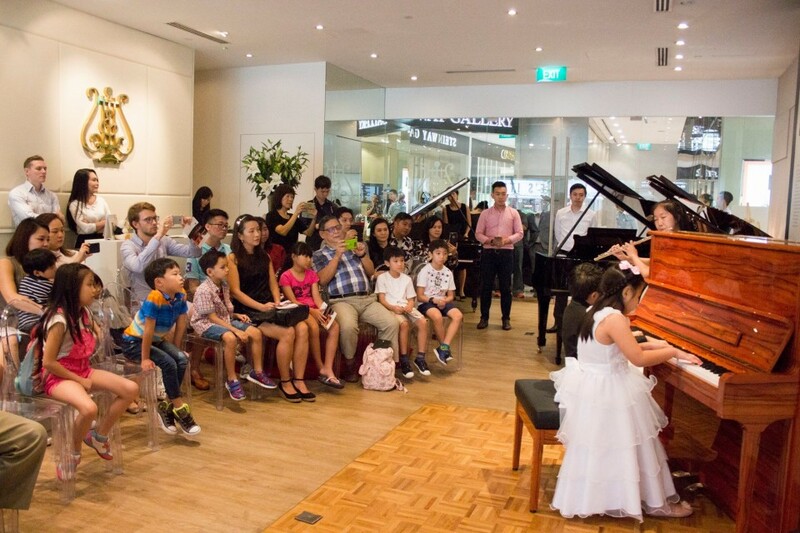 He was followed by Yi Ting who serenaded everyone with her melodic manipulations on the same piano. Then it was time for teamwork. Yi Ting provided background colour to Toby's piano with her flute. 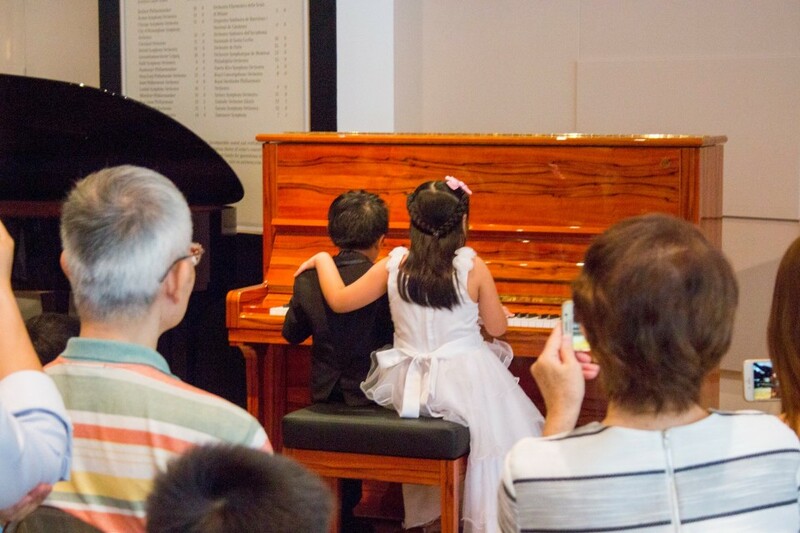 Following that, the audience was treated to a piano duet by Toby and Chen Jing, whose evident rapport was touching. 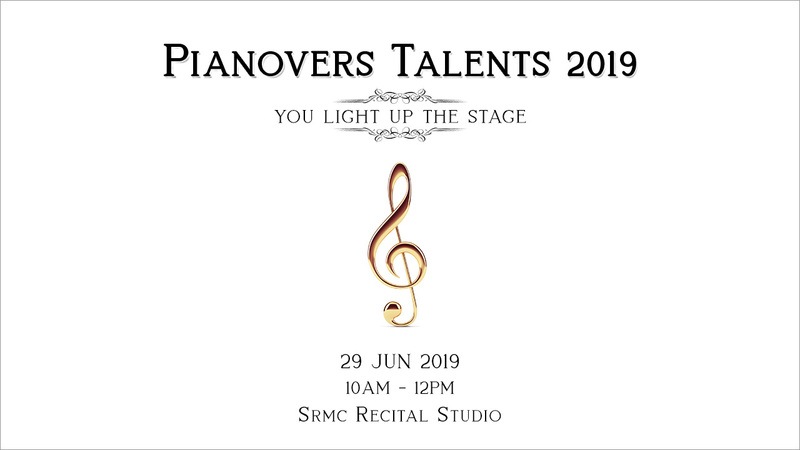 Finally, all the young musicians joined forces to bestow an orchestral tour de force, the tinkle of piano notes blending harmoniously with the sharper hues of the flute. By the end of the event, all members of the audience were drunk with aural pleasure. 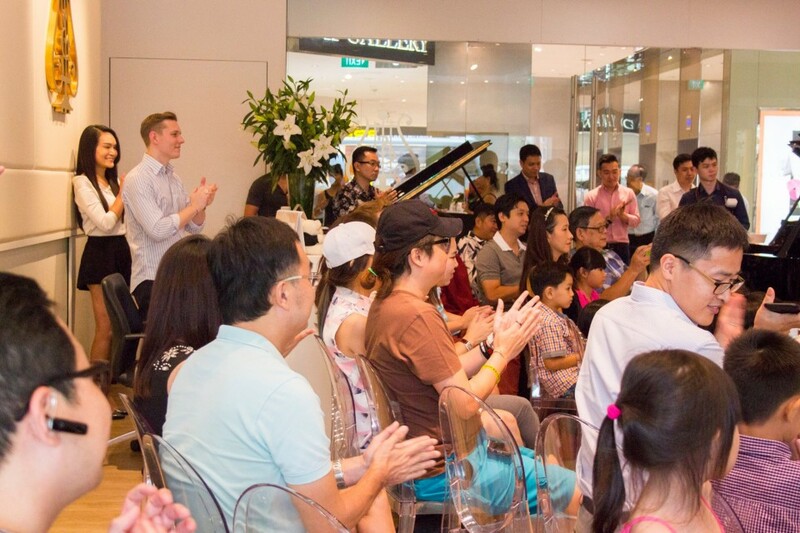 The Steinway Crown Jewels unveiling ceremony was supported by AXA Insurance and was the platform for said company to introduce its Art Insurance policy. 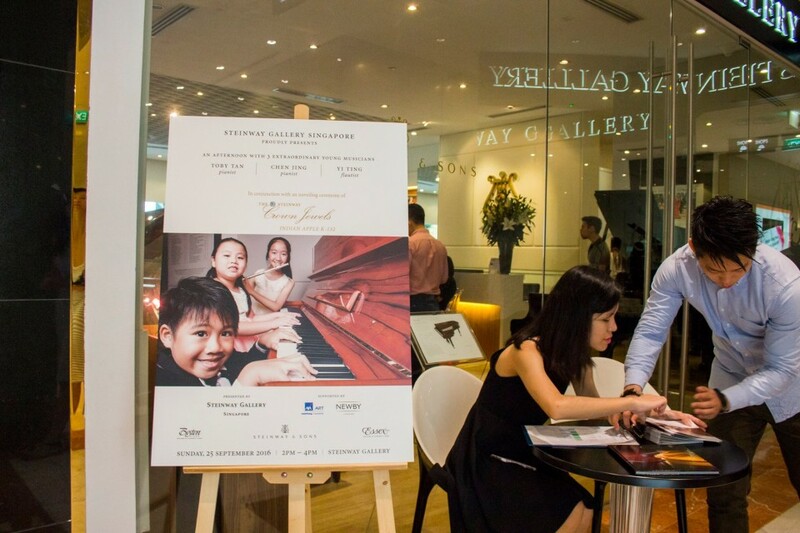 AXA Art’s collaboration with Steinway Gallery provides owners with an all risks insurance protection for their prized pianos, giving them ease of mind in the event of any unforeseen circumstances. In brief, this insurance provides cover against physical loss, theft and damage occurring to your pianos within the premises. Cover is on an agreed-value basis, and depreciation in value following damage is covered. This is an important feature, given that Steinway pianos hold their value over the years. The Steinway Indian Apple K-132 is a worthy consideration to all who wish to create musical works of art on a work of art. But no matter what make your piano is, give it the protection it deserves, and the freedom from worry your mind deserves, with the AXA Art Insurance policy.